The Mockingjay flew, but not as high as its predecessors. 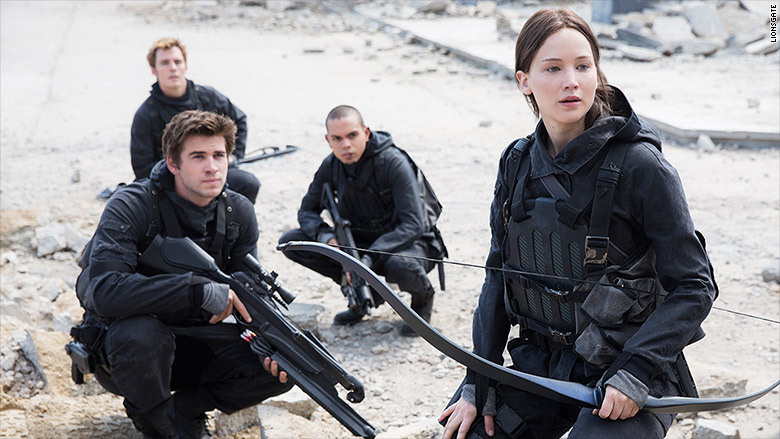 "The Hunger Games: Mockingjay - Part 2," the final film in the "The Hunger Games" series, easily topped the box office this weekend with an estimated $101 million in the U.S.
That total is the fifth highest opening of the year, but also makes "Mockingjay - Part 2" the lowest opening weekend of the entire series. Since its 2012 debut, the Lionsgate films have been hugely popular bringing in over $1.1 billion in the U.S. alone and helped turn Jennifer Lawrence (who plays heroine Katniss Everdeen) into one of the biggest stars in Hollywood. And while "Mockingjay - Part 2" may not have hit the high targets of the previous films in the franchise, it was still a bullseye with moviegoers who gave the film an "A-" CinemaScore. 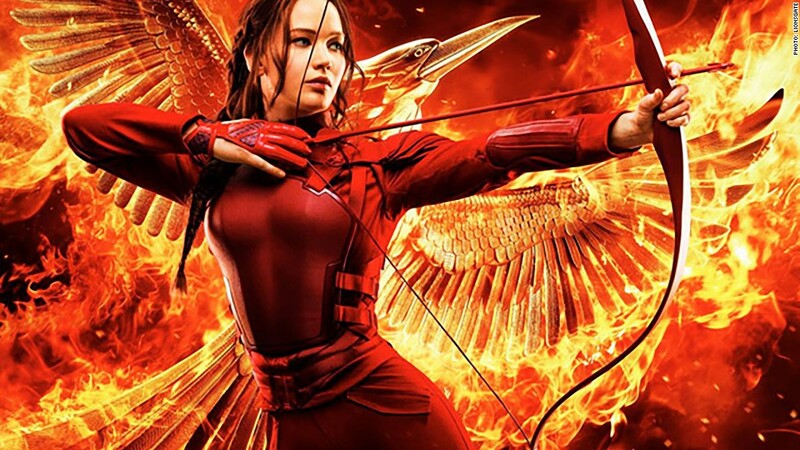 "'The Hunger Games' series has stood as proof that, if properly handled, new massive brands can be created and can draw audiences around the world," said Paul Dergarabedian, senior media analyst at Rentrak (RENT). "The Hunger Games: Mockingjay - Part 2" may have had the lowest opening of the series, but still broke the $100 million barrier. Coming in second behind Katniss was the James Bond spy thriller, "Spectre," which brought in $14.6 million for its third week of release in the U.S. So far, the Sony and MGM film starring Daniel Craig as 007 has made $153.7 million in North America. Another iconic character, Charlie Brown, rounded out the top three with 20th Century Fox's "The Peanuts Movie" making $12.8 million this weekend. The holiday movie season has had a robust start and should continue bringing in big box office numbers with two heavy hitters entering the fray next week. Disney and Pixar's animated film "The Good Dinosaur" and the seventh film in the "Rocky" series, "Creed," both open over Thanksgiving weekend.